Your first appointment is typically a consultation to review your specific needs, review your medical history, gather any additional information that will be needed, and discuss your proposed treatment. Prior to your appointment you will have received in the mail a flier briefly describing the office and our practice philosophy. We will have also enclosed a medical history pdf. Please fill it out in advance and bring it with you to your first appointment. You can also choose to fax or mail it back to us. Please remember to bring your referral form (if you have one) and any X-rays that your dentist has given you. "Livingston Periodontal & Implant Associates represents a new paradigm in periodontal care. 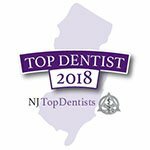 Our goal is to not only provide superb periodontal and implant dentistry, but to do it in a relaxed and caring environment. Your comfort is paramount, and we will do everything possible to make your experience here as stress free as possible."